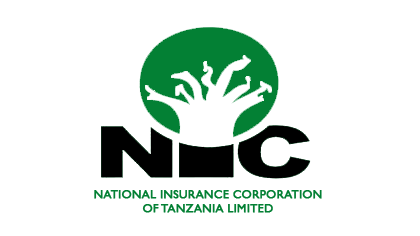 state owned insurance company with a branch network all over the country. In order to strengthen its operations, the Corporation now needs to fill vacant posts in order to obtain dynamic, dedicated and self motivated employees who will enable the Corporation to meet the aspirations of all its stakeholders especially customers. Investigation Officer – 2 Positions- Head office. The holder of this degree must have a Bachelor degree in Law or Social Sciences. Also a candidate must have a working experience of at least three (3) years in any reputable organisation and must have proven relevant skills in investigation. A candidate must be computer literate. Reports to: Senior Investigation Officer. Investigate and report to the management incidents involving thefts, frauds, breach of trusts by employees and misuse of the Corporation’ property. To conduct prosecution of all matters pertaining to insurance frauds. To advise on appropriate actions/policies pertaining to fraud matters in the Corporation. To participate in the vetting of all employees prior to joining the Corporation and during their service and maintain such continuous confidential information for management use and keeping of exhibits. Liaise with other departments within the Corporation on matters regarding investigation and security arrangements. Liaise with other government law enforcement organs on matters concerning fraud and security arrangements of the Corporation. To perform any other related duties as may be assigned from time to time by the Supervisor. Senior Investigation Officer-1 Position- Head office. The holder of this post must have Bachelor degree in Law or Social Sciences plus working experience of more than three (3) years of proven investigation skills at supervisory level in any reputable organization. A candidate must be computer literate. Postgraduate qualification in law or Social Science will be an added advantage. To be an overall in-change of the Investigation Unit within the Corporation. To prepare and implement annual plan of action of the Unit and coordinate achievement of the same. To advise Management on appropriate actions/policies pertaining to fraud matters in the Corporation. To prepare progress reports of all investigation involving staff or customers and related court cases where the Corporation is a party. To liaise with other government law enforcement organs on matters concerning the fraud/security arrangements of the Corporation. To perform any other related duties as may be assigned from time to time by the Managing Director. An application letter showing how you meet the post’s requirements and comprehensive Curriculum Vitae. Contact address including telephone number(s) and email addresses. One passport size photograph attached to the application letter.